The Board of Control for Cricket in India (BCCI) on Friday announced that the team management had rested three key players from the Indian squad for the third T20I against West Indies. 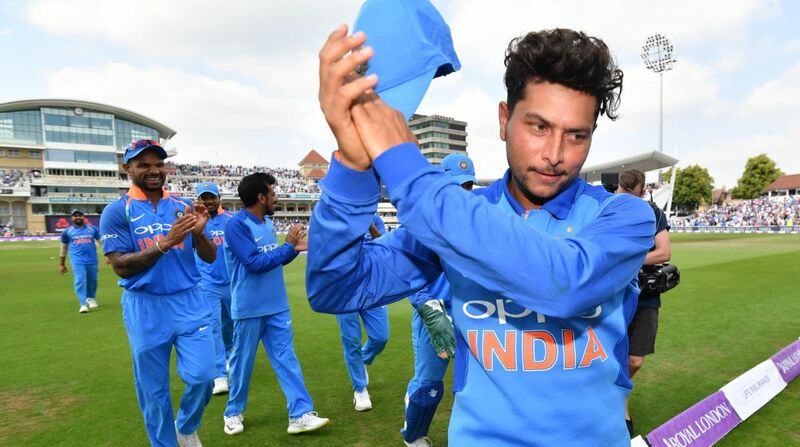 The BCCI press release said chinaman spinner Kuldeep Yadav, along with Umesh Yadav and Jasprit Bumrah, had been rested. The selectors decided to rest these players to allow them to be in best physical condition ahead of India’s tour to Down Under later in this month. India’s Australia tour will kickstart on 21 November with the three-match T20I series which will be followed by a four-match Test series. After the conclusion of the Test series, India will play three ODIs too. Medium pacer Siddarth Kaul has been included in the Indian squad for the third Test. So far, Kaul has played three ODIs and two T20Is. Meanwhile, in the ongoing three-match T20I series between India and West Indies, the Men-in-Blue have taken a lead of 2-0. The final match of the series will be played on 11th November, Sunday at the MA Chidambaram Stadium in Chennai.